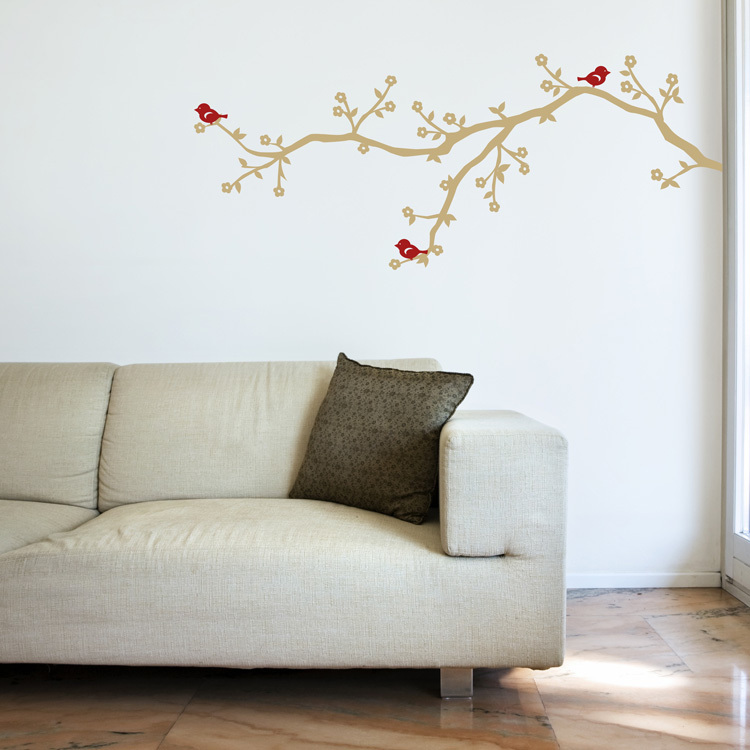 This adorable baby blossom branch with birds is perfect for any space you choose! 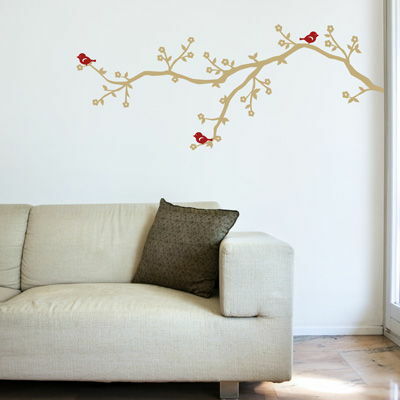 It is simple and delicate, yet bold enough to change the look of your room. The 6 birds each measure 4 inches wide by 2.5 inches tall. Light Brown matte branch and Dark Red matte birds. Branch comes in 2 sections for easier application. Birds come separately so you can place them wherever you choose! Practice decals are included with every order.